Lock in a great price for Brimarsbrú sleep inn-art Gallery – rated 8 by recent guests! My host Ragnar was so helpful (and delightful)! He provided transportation from the airport, a wonderful history of the art in his collection, guidance for a walk to the Viking museum along the ocean, AND a hot spa upon my return! Very large space, cozy, comfortable bedding, small fridge, cool postcards for free. Nice places to walk nearby, and a couple of stores for food. Close to the airport. The room was huge and warm. It had two comfy beds and a mini fridge and a smart TV. From the moment i arrived (even that it was as late as 10 pm) I found the host waiting for me. And he was super welcoming and excited to meet me. It was the best thing about this place, that I really felt thati amin Iceland. 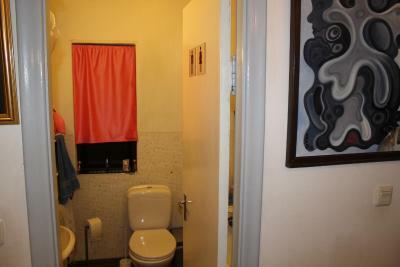 The host showed me proudly his gallery and showed me the bathroom which was inside the house. And offered me to come and chat if I had time. But i didn't unfortunately. For what you pay you really get an amazing deal by staying here. And one of the best part is the location of the stay, if you have a car. Because the Vikings Museum is q within a 15 minutes walk and they serve a breakfast buffet for 13€ if remember correctly, including entry ticket. This is a MUST do if you're staying there. I really really enjoyed that breakfast. The host/owner was rally great - friendly and conversational. I learned alot about the town and the art in the gallery. I also arrived earlier than expected but he allowed me to check in earlier. Very warm, hospitable and kind. Host is very friendly guy who was kind enough to pick me up and return me to airport. I thought this was exceptional! Good location for airport departures. 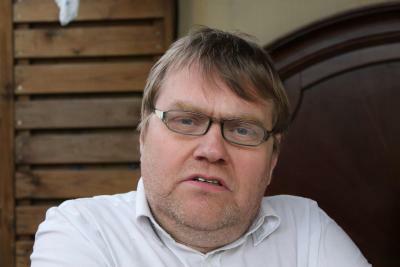 The hospitality and friendliness of the owner, who is a passionate Iceland's art lover has to be stressed. The spacious, warm facility is decorated with paintings. Outdoor winter bath has been available for those guests who are eager to try that experience. 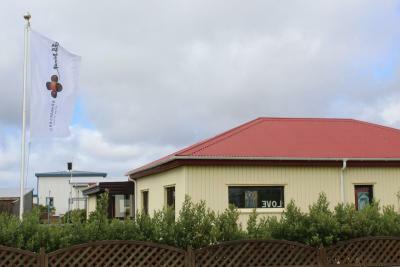 TV, Wi-Fi, parking OK.
Brimarsbrú sleep inn-art Gallery is located in Njarðvík and offers a garden. The property features garden views. The family stay has a flat-screen TV with cable channels, a well-equipped kitchen with an oven and a microwave, and a bathroom with a hot tub and free toiletries. The property has a hot tub. If you would like to discover the area, hiking is possible nearby. Reykjavík is 27 miles from Brimarsbrú sleep inn-art Gallery. The nearest airport is Keflavik Airport, 6 miles from the accommodation. This property is also rated for the best value in Njarðvík! Guests are getting more for their money when compared to other properties in this city. When would you like to stay at Brimarsbrú sleep inn-art Gallery? House Rules Brimarsbrú sleep inn-art Gallery takes special requests – add in the next step! Please inform Brimarsbrú sleep inn-art Gallery of your expected arrival time in advance. You can use the Special Requests box when booking, or contact the property directly using the contact details in your confirmation. Let's be clear: You get to sleep on two mattresses in a former garage/shed. The toilet and bathroom are in the main house. But its clean, coszy, warm and you get to see amazing pictures. And the owner is really nice, helpful and will provide a fantastic ghost story! 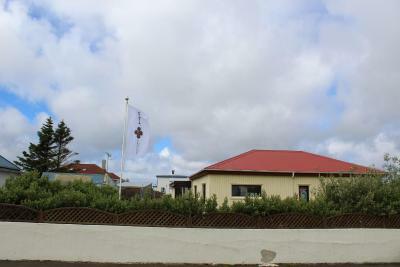 As for the location: It was perfectly situated for our last day, close to the blue lagoon and the airport. It would be better if there would be a toilet and kitchenette like kettle in the room. The fridge was very dirty, also the tv is not working at all and I think it could be better in different position. I liked the area it’s very close to the beach. Surprising space made by an passionate men. 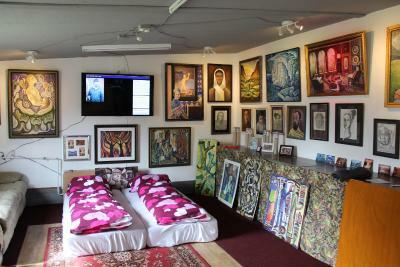 Sleeping surrounding by Brimar art’s is definetly an experience to try. 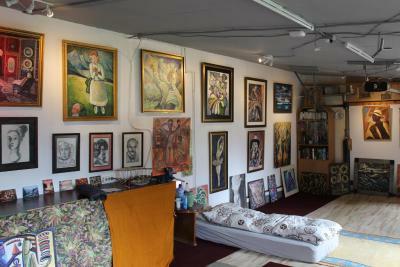 Art gallery was marvelous, warm and comfortable beds, clean bathroom, I can reccomend this place. The place was really unique, warm, cozy and super close to the airport. We loved the paints and we also got free post cards. The toilet is in the same house where the owner sleeps , make you feel a bit bad for disturbing them at night. Very unusual place to sleep , an art gallery. The owner was very friendly and very informative. Amenities are in the owner’s house. Garage-gallery. Drawings around and free postcards. Open air jacuzzi. There was no toilet and no sink. 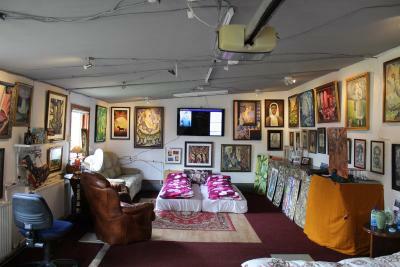 Art gallery is very unusual place to stay for night. Was very warm and cosy. Fantastic owner, I arrived very late and he had no problem with that. Very unique place close to the airport.